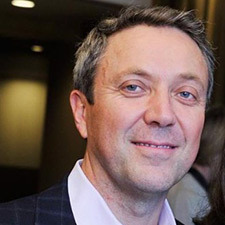 Alexander Caillet is an organizational psychologist, consultant, and coach internationally known for his pioneering approach to team coaching and his state-of-mind research with organizational leaders. Alexander's work has spanned more than 30 countries across five continents. In addition to his coaching work with individuals and teams, he has an extensive background in management consulting. His organization-wide engagements have included redesigns and restructurings, post-merger integrations, functional shared services, continuous improvement programs, business turnarounds, team-based structures, change leadership programs, and culture change initiatives. Alexander along with Jeremy Hirshberg and Stefano Petti founded the State of Mind Institute to research the impact of state of mind on leadership effectiveness and provide methodologies that can be used by leaders to improve their performance and results. Alexander is an Adjunct Professor on the faculty of Georgetown University’s Leadership Coaching Certificate program, a guest lecturer at the American University, and a frequent international speaker on the subjects of change, teams, coaching, and leadership. He is certified in Team Management Systems (TMSDI) and the Hogan Personality Inventory, and is also a certified Health Realization practitioner and a licensed HeartMath Certified Trainer. Alexander is a dual citizen of France and the United States, has lived in Europe, the United States, and Mexico, and is fluent in English, French, and Spanish. He received a B.S. in Psychology from the University of Michigan and a M.A. in Organization Psychology from Columbia University. Alexander lives in Boston with his wife Janice and his daughters Chloé, Léanna, and Alexia. "Alexander is an excellent trainer and provides great inspiration. After nearly 30-years of training in a highly regulated energy sector, his training ranks amount the very best I’ve experienced. He has a very effective style to teach and reinforce soft skills that can be foundational to success in this “over” information age. He also takes a real interest in his students success and makes himself available for after class support. You should take the opportunity to experience him for yourself." — Bob Sturm - Manager Talent Development, BWX Technologies Inc.